Today marked a new chapter in my life as a sports fan. I intentionally watched my first entire English Premier League match. And no, there wasn’t a gun pointed at my head. For those of you (the majority) who don’t know what the EPL is, think of it as the British version of Major League Soccer in the US…except with better players, better followings, and better quality of the game. I think you get the point. The funny thing is, I’ve never been much of a soccer fan. I quit playing anything that even resembled soccer in junior high. But one day I was thinking to myself how soccer is the biggest sport in the world, and outside of a few World Cup episodes, I didn’t follow or really know anything about it. Why should I? I’m an American. The world revolves around us anyway, right? (I won’t tell you how many people visit my blog from outside the US. Just know it’s enough to form a sizeable crew to come beat me with a stick.) We’ve got NFL, MLB and the NBA to keep us busy. And while those are still popular to me (or at least two of them), I wanted to see about joining the world on something they’ve apparently clued into but we Yanks, generally speaking, haven’t. So the first thing I did was research. I do it by nature and by profession. It seems that I just can’t pick up a new hobby or practice without studying the history, workings, and current issues associated with it. I don’t know, it probably makes me feel like I better “own” the new practice or belief. So I learned about the different leagues (specifically in Europe like Premiere, Serie A, Ligue 1, La Liga, etc. ), tried to understand unique terms associated with the game (e.g, pitch, mark, transfer) and even drove to a local soccer shop to speak with the staff about what I was learning. Funny. The more I studied, the more interested I became. Now, I needed to choose a team to root for. There’s a lot to choose from. I decided to think “local”. You see, my family loves to eat at a nearby pub and pizzeria called “Boondoggles.” Next to it is a wine/coffee bar named “Chelsea’s.” Both are owned by the same individual. In fact, the first time my wife and I ever went there, the owner gave us a tour. When we asked him why he named the wine bar Chelsea’s, he said it was because he was from the Chelsea district of London. Boondoggles has since become a family favorite eatery. 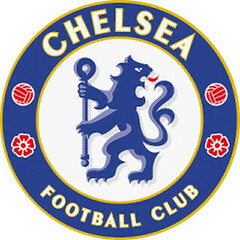 So when it came time to pick a team, I looked down the list, saw a team named Chelsea FC (Chelsea Football Club), and that was it. I was going to “support local” by rooting for the Blues. We’re all together, and winning is our aim. So cheer us on through the sun and rain. ‘Cause Chelsea, Chelsea is our name. Sir, you have gone to the dark side… As I’m sure you know in your research, you know that Chelsea is the only team that supplements their opening preceedings with the Russian anthem in honor of the owner!